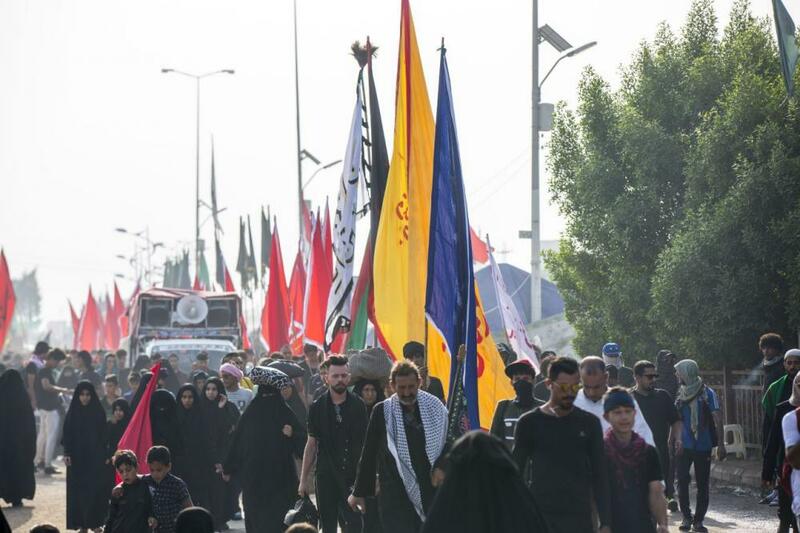 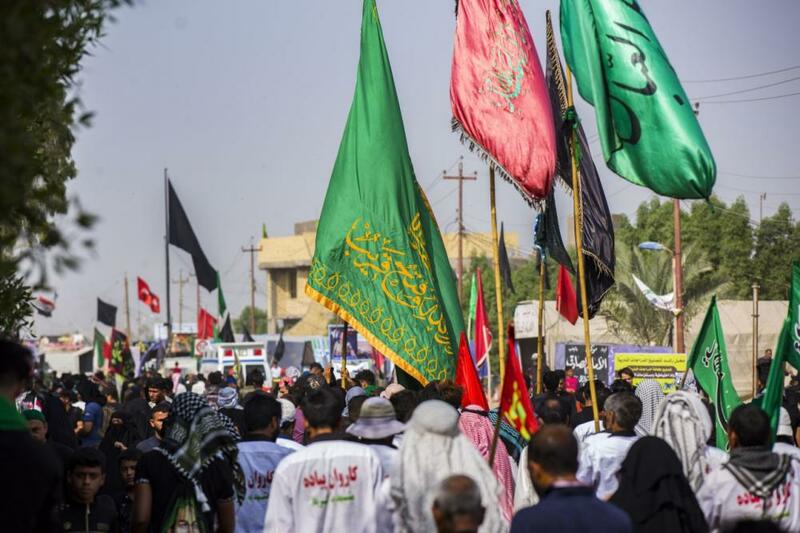 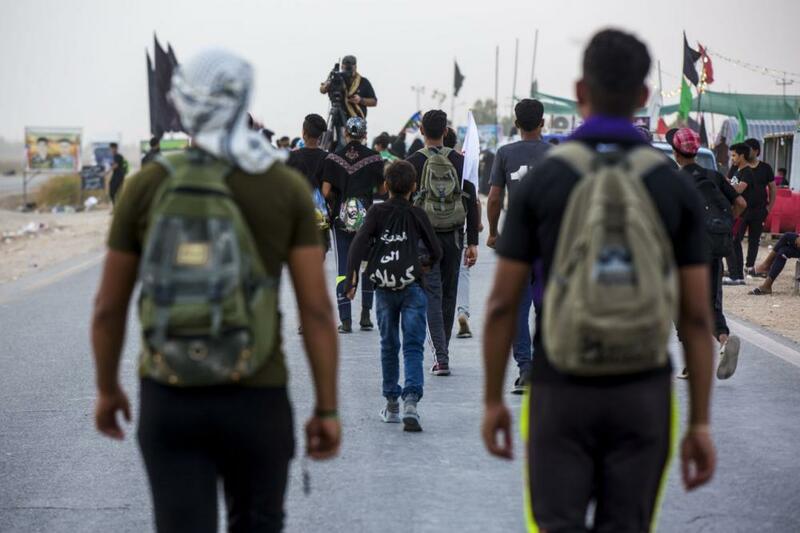 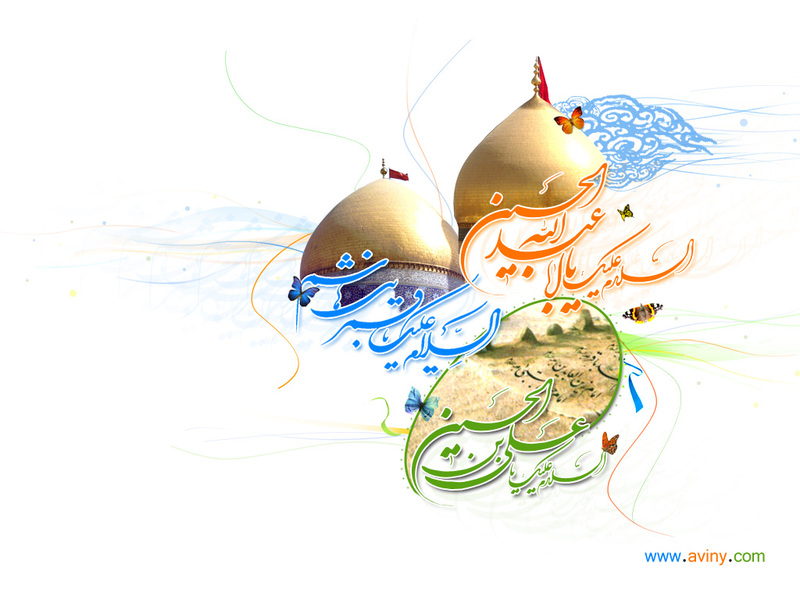 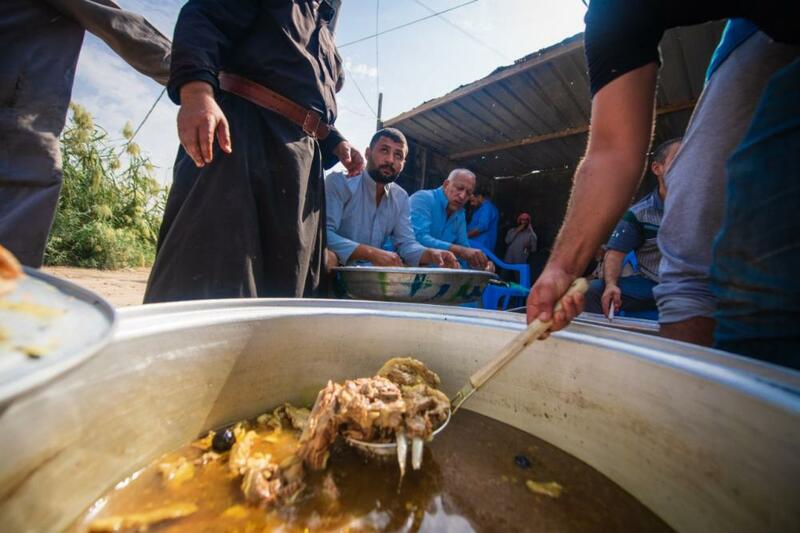 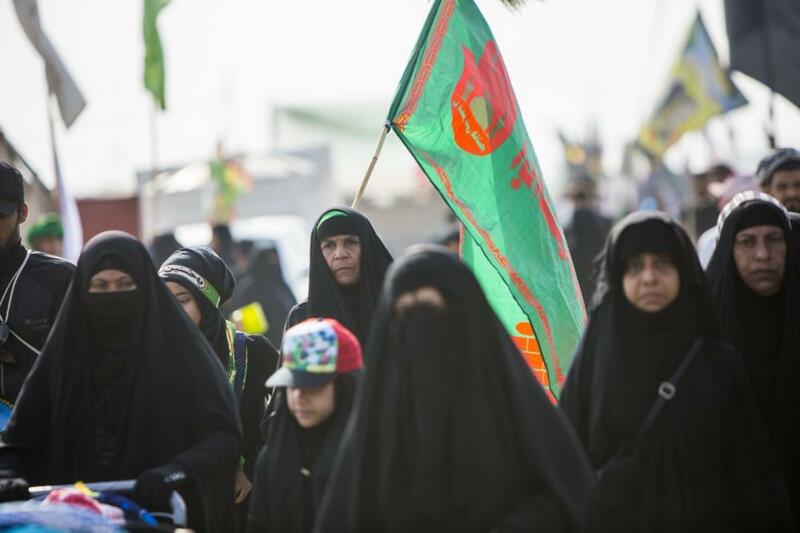 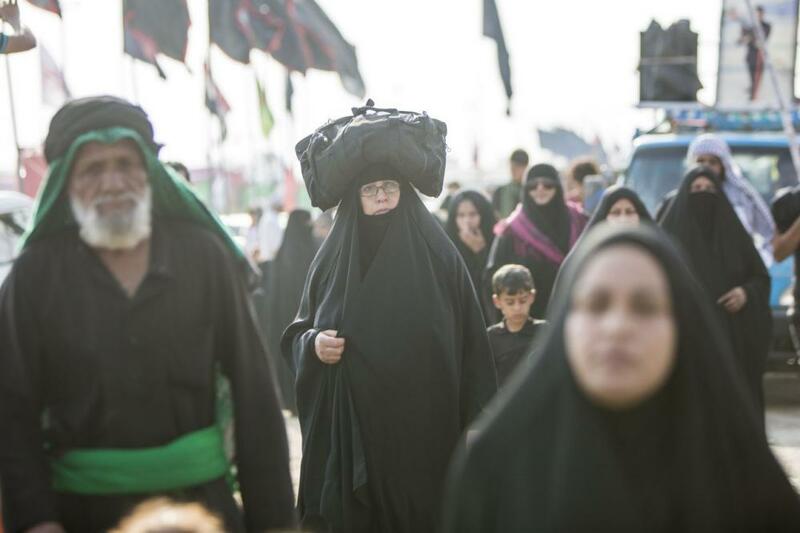 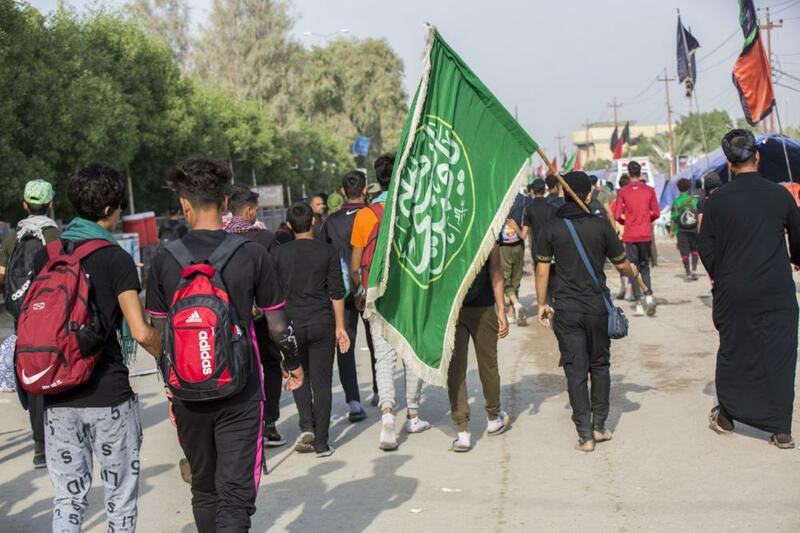 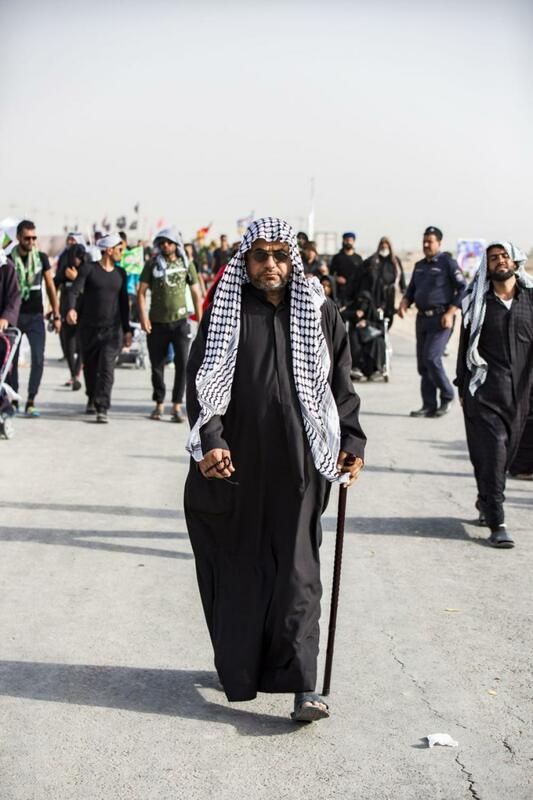 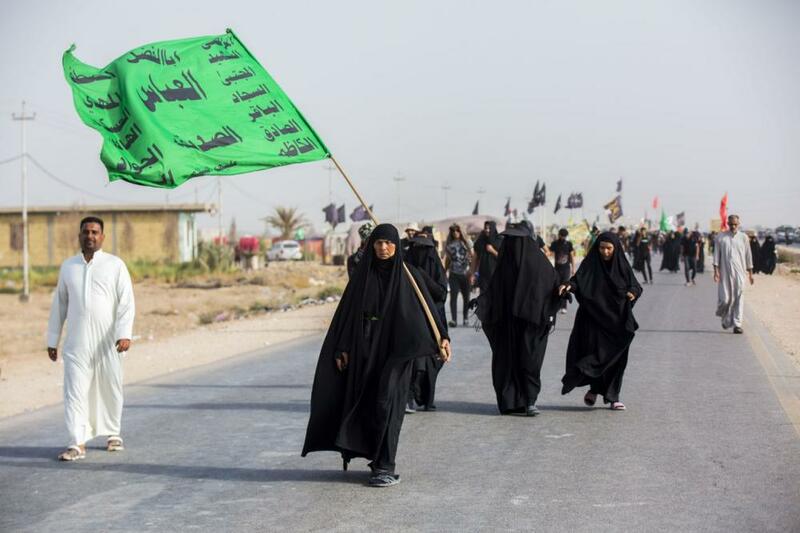 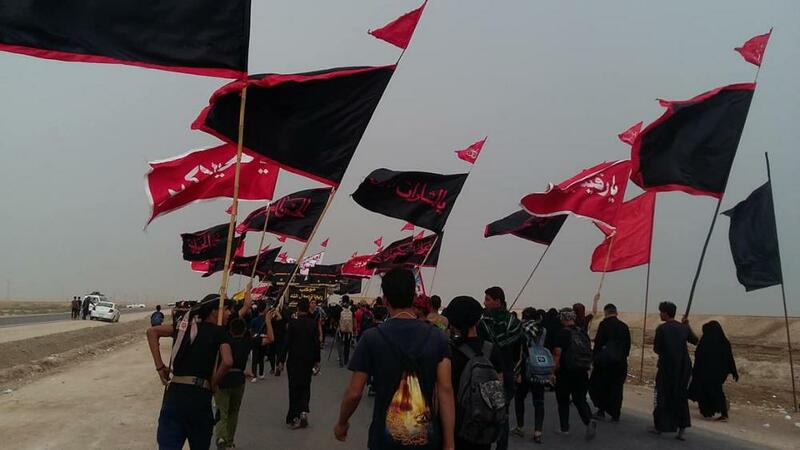 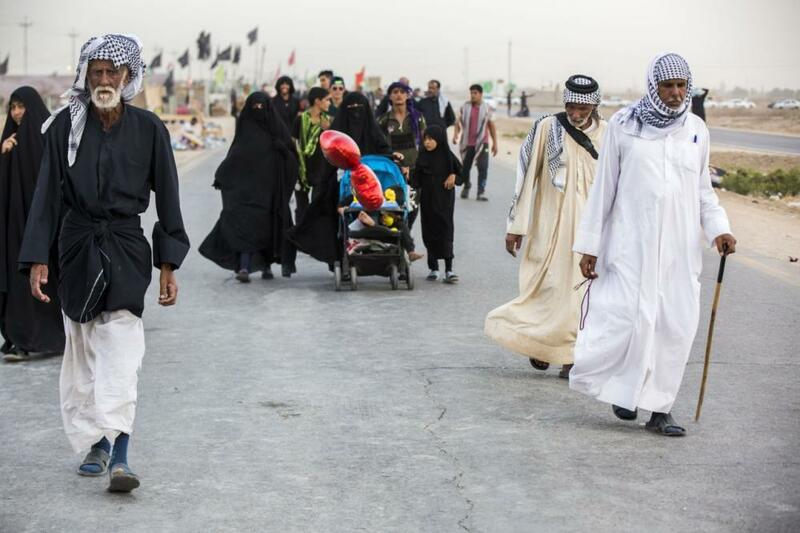 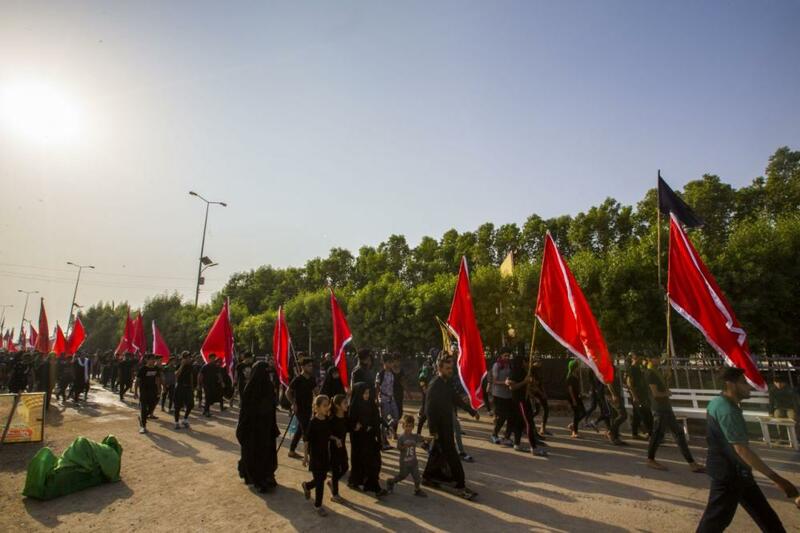 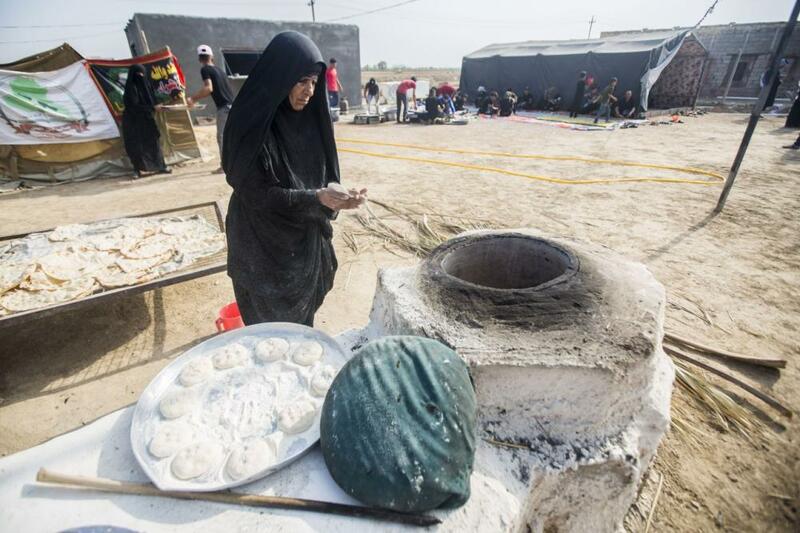 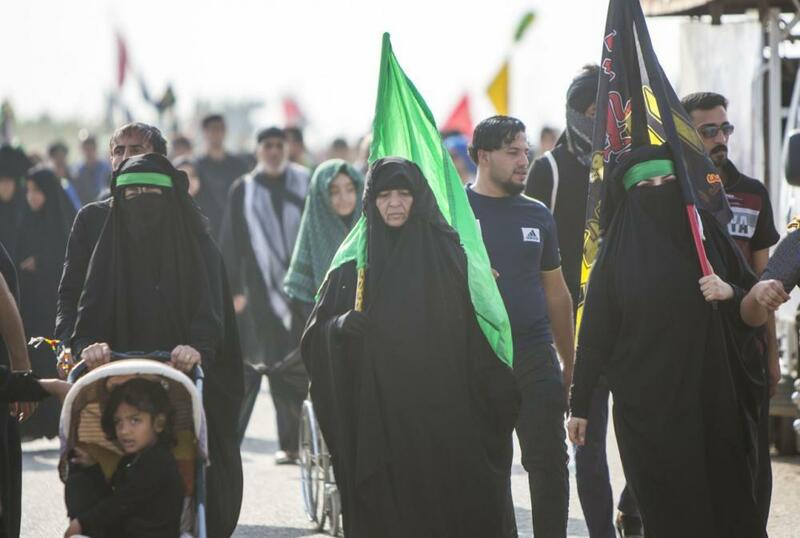 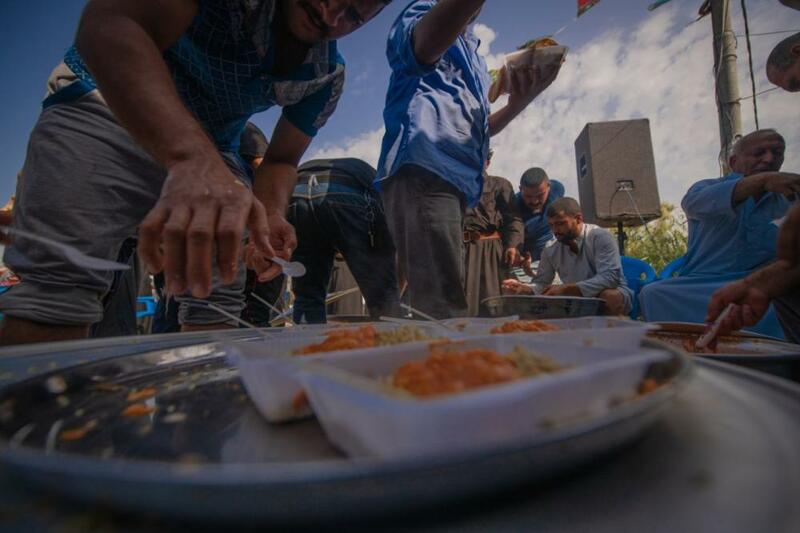 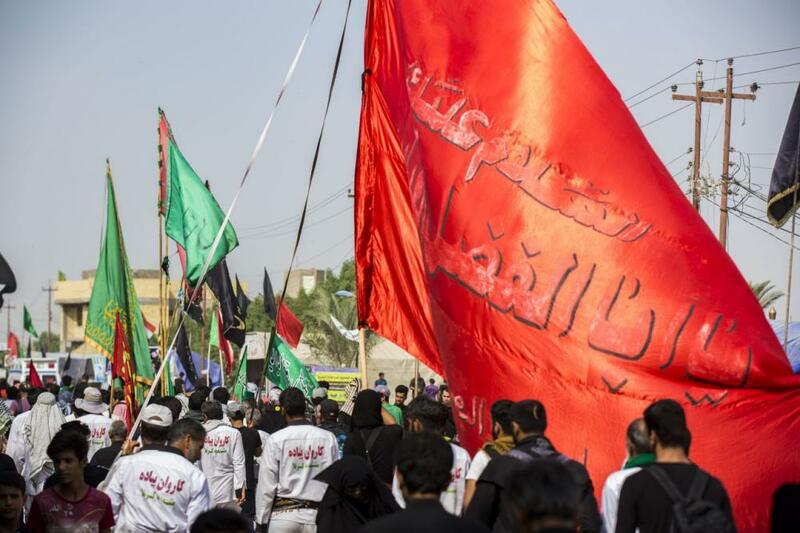 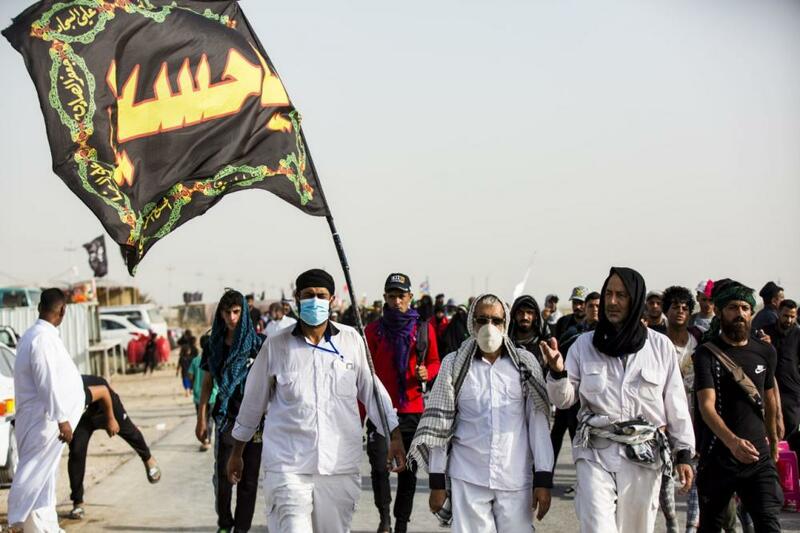 SHAFAQNA- Alkafeel: Newsletter of the Visitors of the Arba’een 1440 AH: The movement of the visitors walking from the southern provinces towards Karbala, reaches its peak in al-Muthanna province. 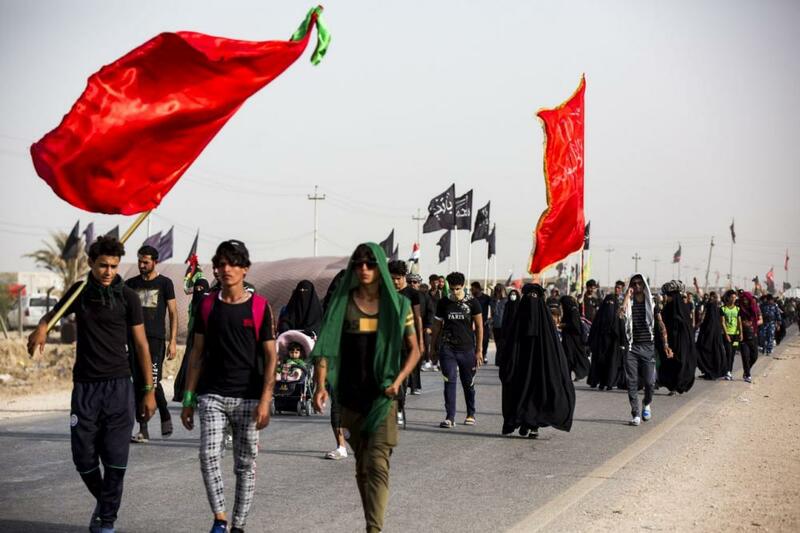 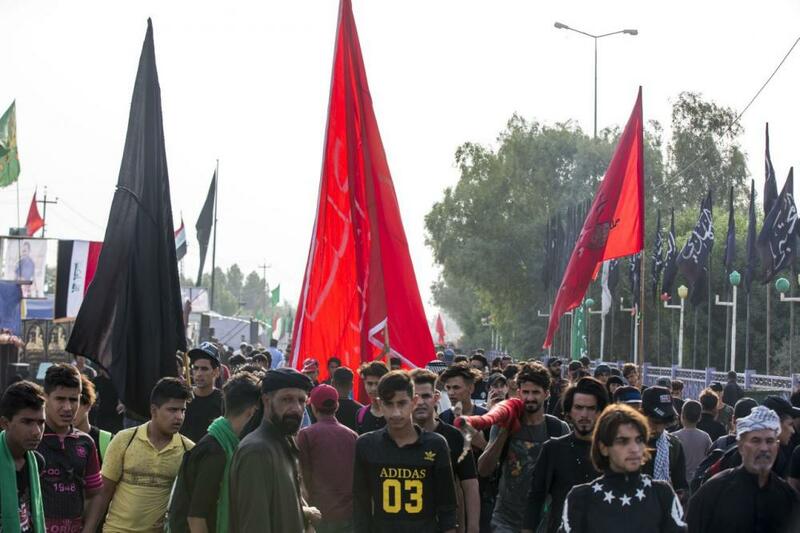 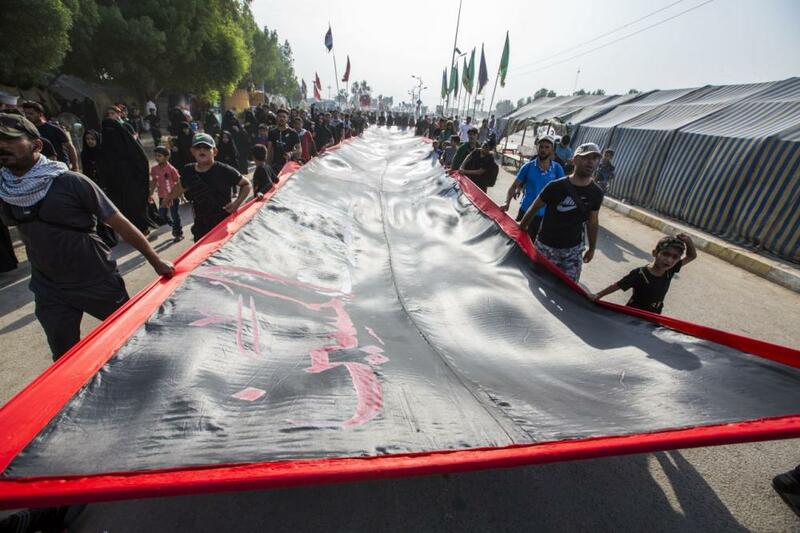 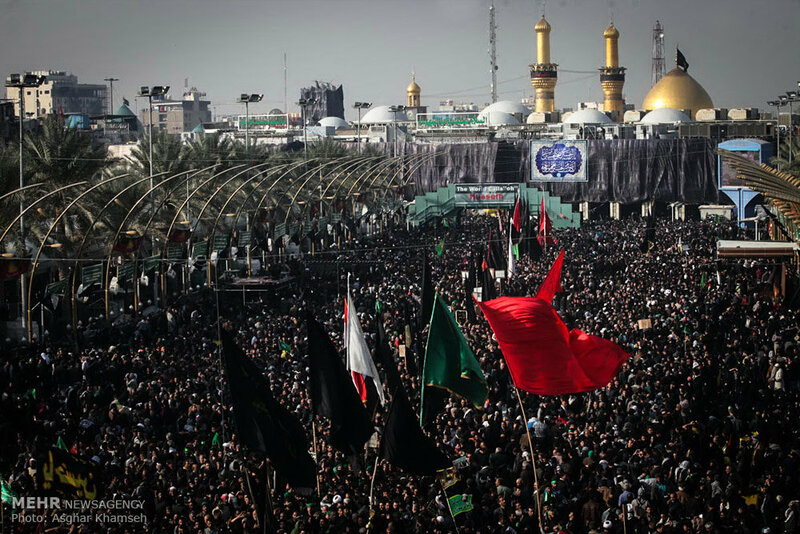 The crowds of visitors coming from southern Iraq continue their march towards the holy city of Karbala, to commemorate the Arba’een of Imam al-Hussayn (peace be upon him), defying the weather fluctuations since ten days. 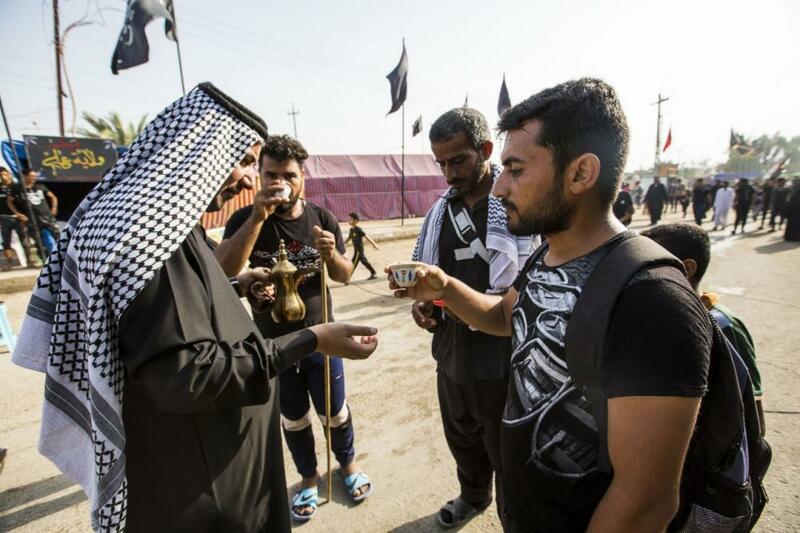 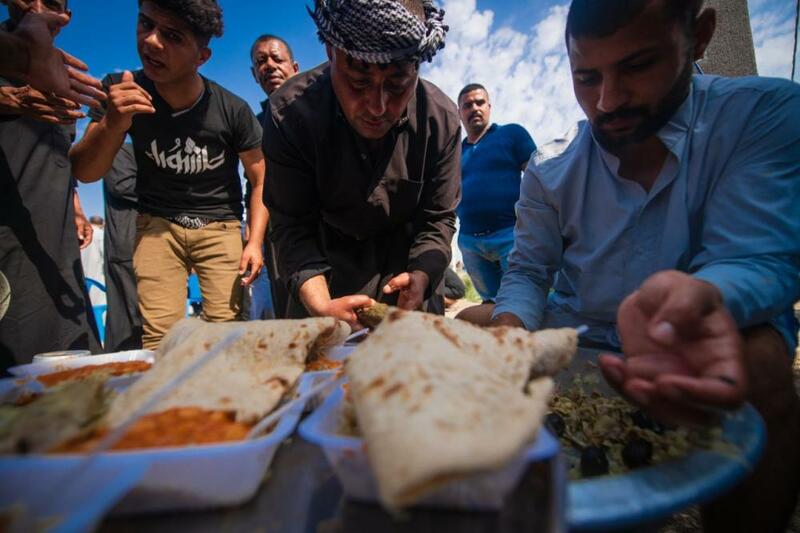 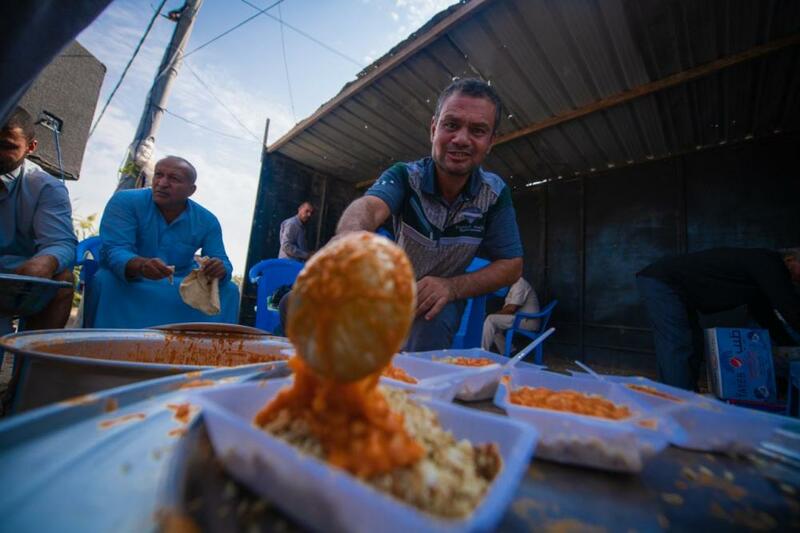 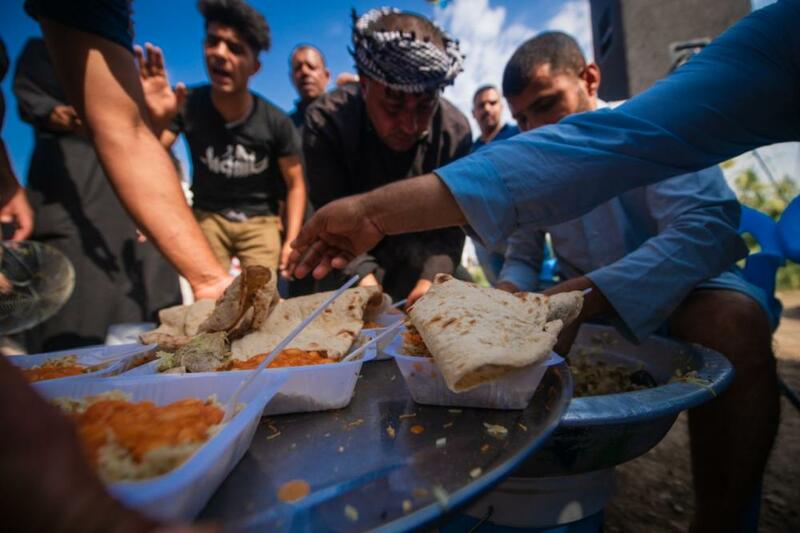 1- The city of Samawah, which is located in north of the city of Nasiriyah, are packed by the visitors coming from the southern provinces, while the movement of visitors in the city of Nasiriyah began to be less, as most of them have already left the city. 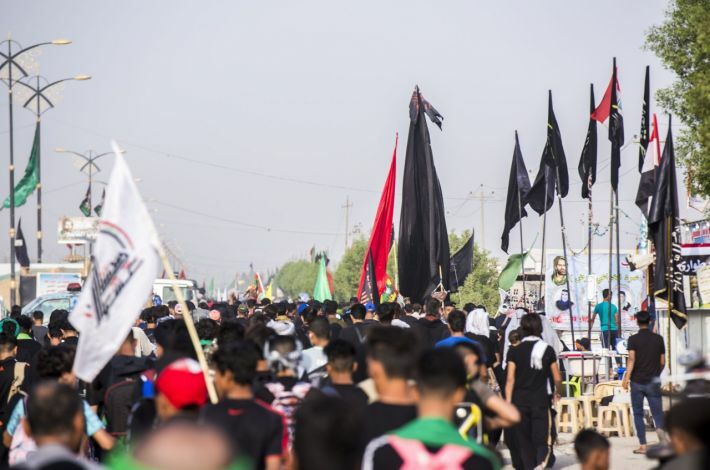 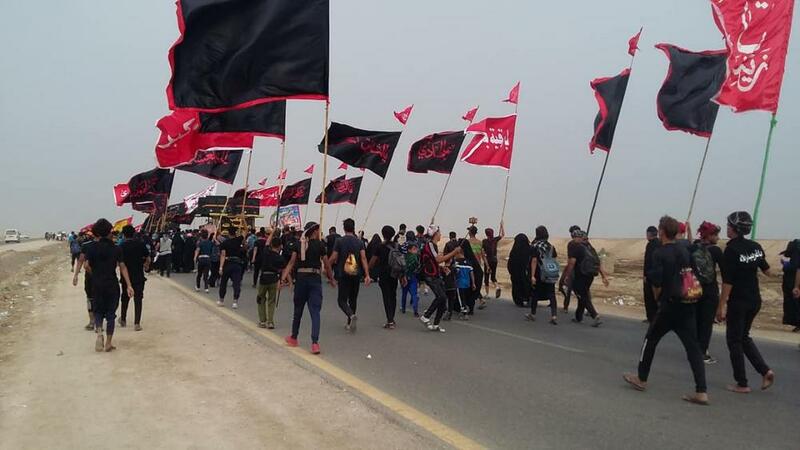 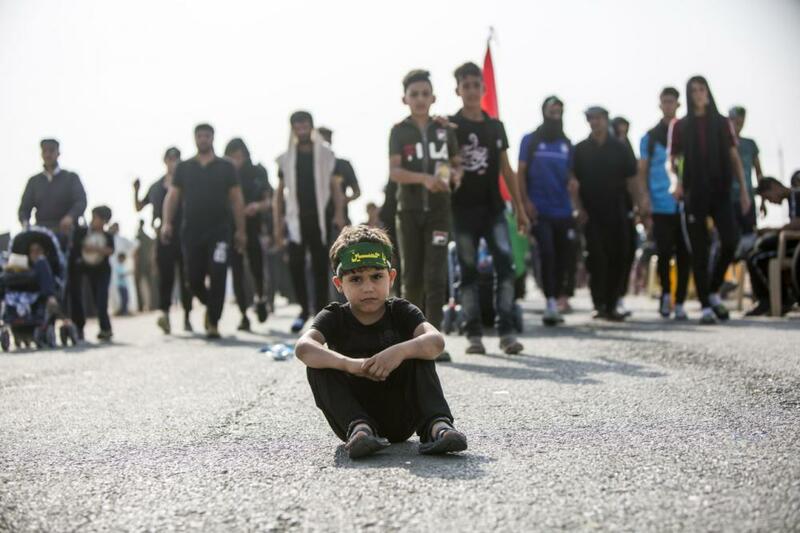 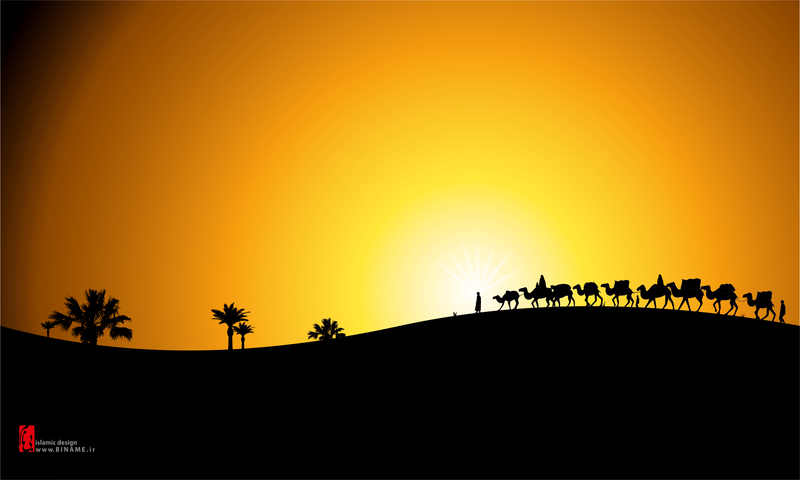 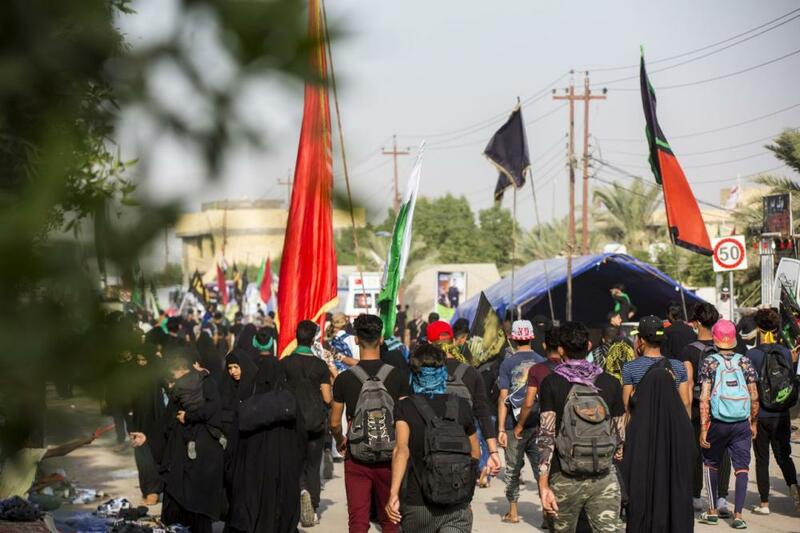 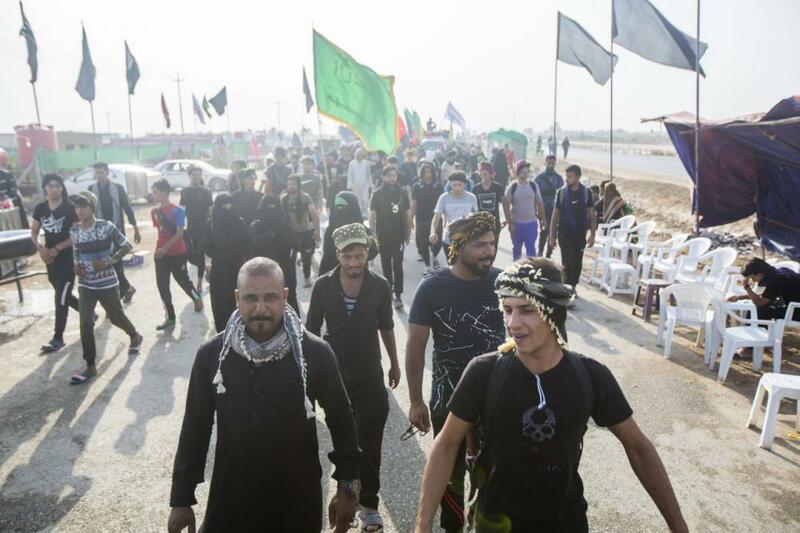 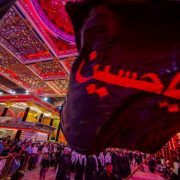 2- Full mobilization by the service processions along the road, offering their services over 24 hours, as well as the locals who are offering the accommodations to the visitors who are passing by their villages and cities towards Karbala. 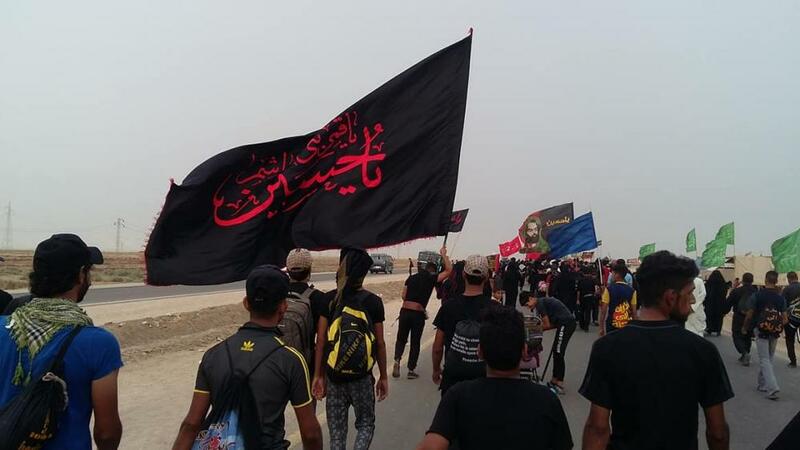 3- The people of the city of Rumaytha will start their march tomorrow, and will join the pilgrims coming from Samawah and other cities towards the city of Diwaniyah. 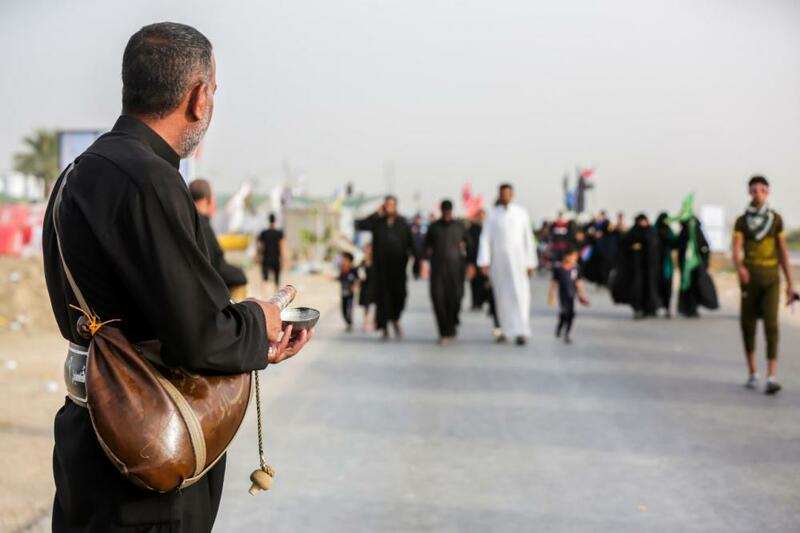 4-Large groups of visitors have already passed the city of Samawah, some of them have spent the night in Rumaytha, while others kept walking and they are close now to the area of Khidhr. 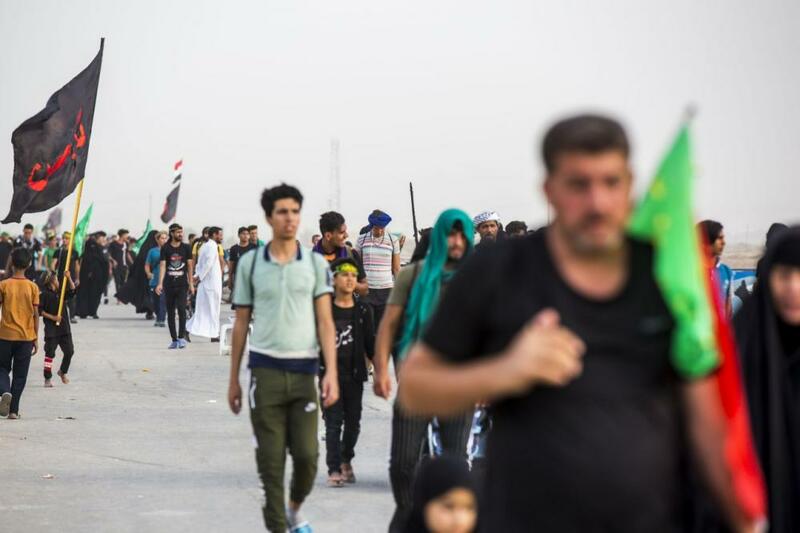 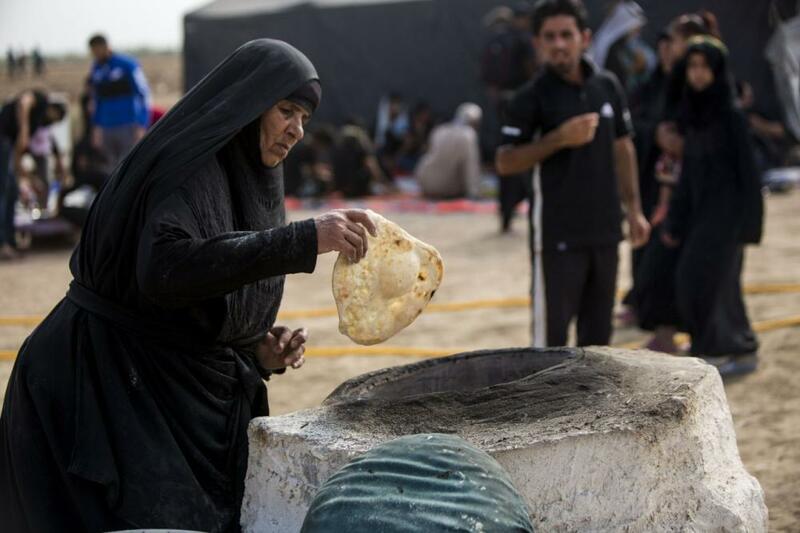 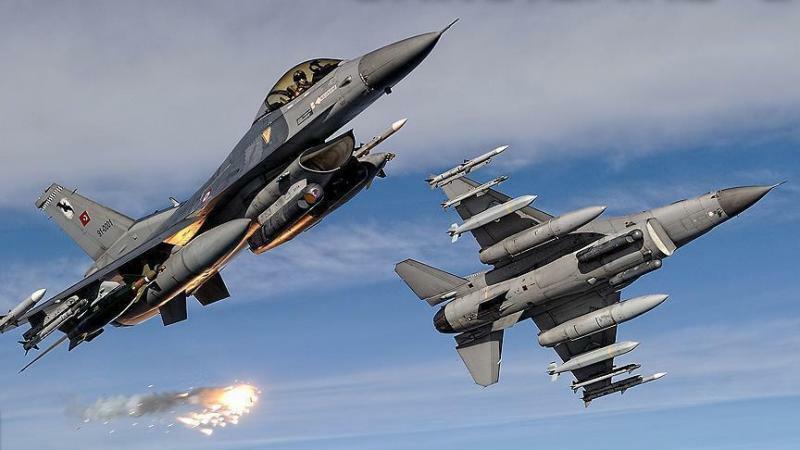 He also pointed out that the people of Samawah city have rushed to help the crowds of visitors coming from the provinces of Basra and Nasiriyah after the rains last night, amid the mobilization of the security forces and the popular mobilization fractions along the road between the cities of Samawah and Diwaniyah. 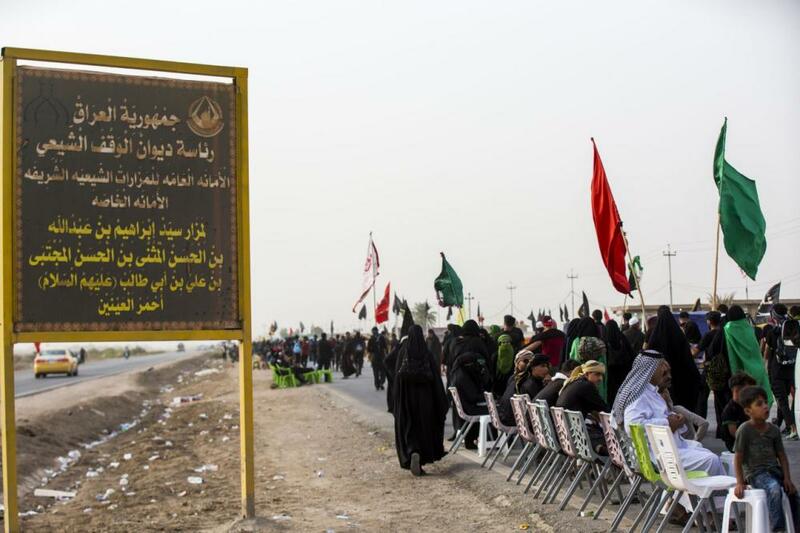 Highlighting the smooth cooperation between the security forces, the service processions and the visitors.